A group of private collectors from China’s Hunan province have privately purchased the famed Min Fanglei, a bronze ritual wine vessel from the Late Shang or Early Western Zhou period due to be sold in New York last month. 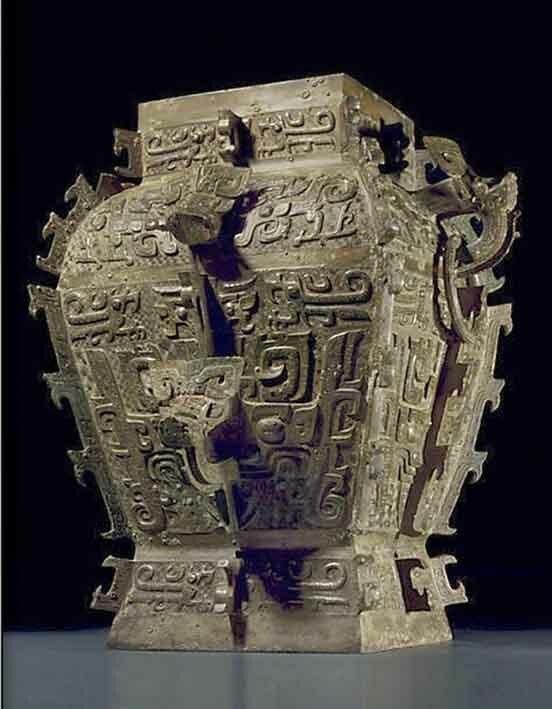 The Min Fanglei or ‘King of all Fangleis’, a bronze ritual wine vessel from the Late Shang or Early Western Zhou period. The delegation plan to donate their eleventh-hour purchase to the Hunan Provincial Museum in China, where it will be reunited with its lid. With its combination of massive 2ft (60cm) size, powerful proportions and superb casting, Christie's deemed this among the most important Chinese archaic bronzes ever to appear at auction. The surface is intricately cast with stylised animals and mysterious masks that provide a fascinating insight into 12th-11th century BC Chinese culture. This bronze has been extensively published since 1928, and has been handled by some of the key 20th century dealers and collectors, including A.W. Bahr, C.F. Yau and C.T. Loo. At Christie's New York in March 2001, it took $9m, a world record for any Asian work of art. It was due to be sold on March 20 with an estimate in excess of $15m, with talk of a sale at perhaps twice that sum. But the sale of this culturally sensitive object was not straightforward. The 'King of all Fangleis' is well-known in China as its cover, itself measuring over 8in (20cm) high, resides in the Hunan Provincial Museum in Changsha City. In the run-up to the sale there had been calls for bidders to stand aside to allow the two elements to be reunited. In the wake of the Saint Laurent/Bergé sale debacle, fear of buyer default was thought to be part of Christie's decision to strike a private deal. In Paris in 2009 the €28m sale of two Qianlong bronze heads from the Haiyantang Zodiac water clock at the Old Summer Palace met the wrath of the State Administration of Cultural Heritage and the successful bidder announced that, as a patriotic act of protest, he had no intention of paying for them. Last summer, Christie's owner François Pinault returned the zodiac heads to China just days after his firm became the first international auction house to operate independently on the mainland. "As always, it is our duty to be a responsible steward of the important cultural objects that are entrusted to our care," said Steven Murphy, Christie's chief executive, in a March 19 statement. "After close consultation with the current owner over the last several days, Christie's has facilitated a private sale, allowing the vessel to be united with the lid kept at Hunan Museum. We are pleased to have brought together our consignor and these collectors, resulting in this excellent outcome that will allow the 'King of all Fangleis' to go back to its place of origin in Hunan."